Similar statements were also issued by the UAE and Bahraini aviation authorities. Saudi Arabia, the UAE, Bahrain and Egypt cut diplomatic and transport ties with Qatar a week ago. Dubai: Saudi Arabia's aviation body said on Tuesday that the closure of its airspace to flights from Qatar was within the kingdom's sovereign right to protect its citizens from any threat. The comments were in reaction to remarks by Qatar Airways' chief executive that Saudi Arabia, the United Arab Emirates and Bahrain were violating international law by shutting out Qatari flights. The airspace closure was to protect the country and its citizens from anything it sees as a threat and as a precautionary measure, Saudi Arabia's General Authority of Civil Aviation said in a statement published by the Saudi Press Agency. Similar statements were also issued by the UAE and Bahraini aviation authorities after a CNN interview of Chief Executive of Qatar Airways, Akbar al-Baker, who criticised the three Arab countries for the airspace closure. The United Arab Emirates and Qatar have long been major proponents of open-skies policies, which remove restrictions on flying between states. These policies helped the region's largest airlines -- Emirates, Etihad Airways and Qatar Airways -- to emerge as super connectors linking passengers travelling between East and West. "From an industry view point it's unfortunate and disappointing when airlines get caught up in broader political sensitivities which inhibit the benefits of competition and consumer choice, which the region is renowned for," independent aviation consultant John Strickland told Reuters. Saudi Arabia, the UAE, Bahrain and Egypt cut diplomatic and transport ties with Qatar a week ago, accusing it of fomenting regional unrest, supporting terrorism and getting too close to Iran, all of which Doha denies. In all, 18 destinations in the region are now out of bounds for Qatar Airways, which has also been forced to close its offices in Saudi Arabia and the UAE. Al Baker had appealed to the International Civil Aviation Organization, a U.N. agency that administers the Chicago convention that guarantees civil overflights, to declare the airspace closure as illegal. The UAE General Civil Aviation Authority said it is fully committed to the Chicago convention, but that the state reserves the sovereign right under international law to take any precautionary measures to protect its national security if necessary, UAE state news agency WAM reported. 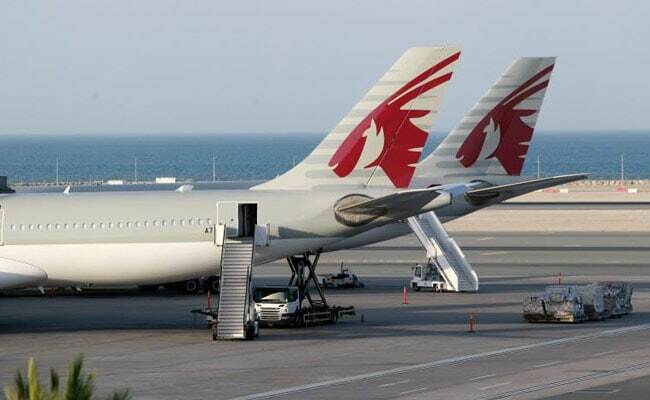 The three countries' aviation bodies also said that non-Qatari private and chartered flights from Qatar must submit requests to them at least 24 hours before crossing the airspace. The request should include a list of names and nationalities of crews and passengers, as well as the cargo carried by the aircraft, they said.